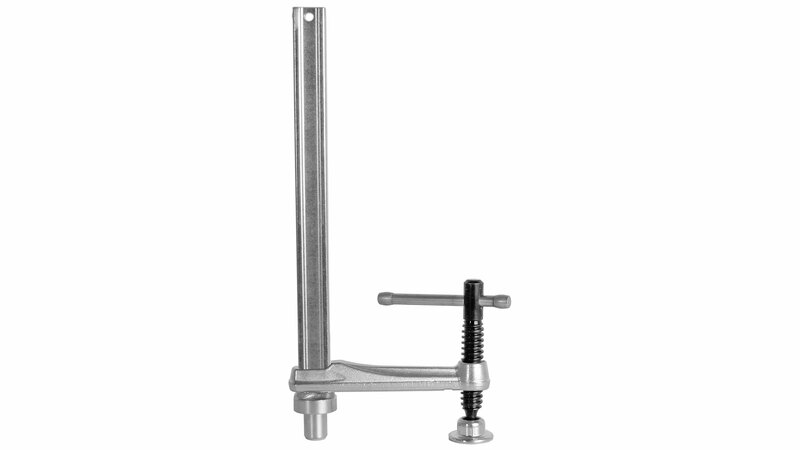 Up to now clamping elements or bench hold-downs for joiner’s benches and workbenches suffered from the handicap that the shank was permanently joined to the hold-down component and as such could only be used with a single hole size. This resulted in several mutually incompatible systems. 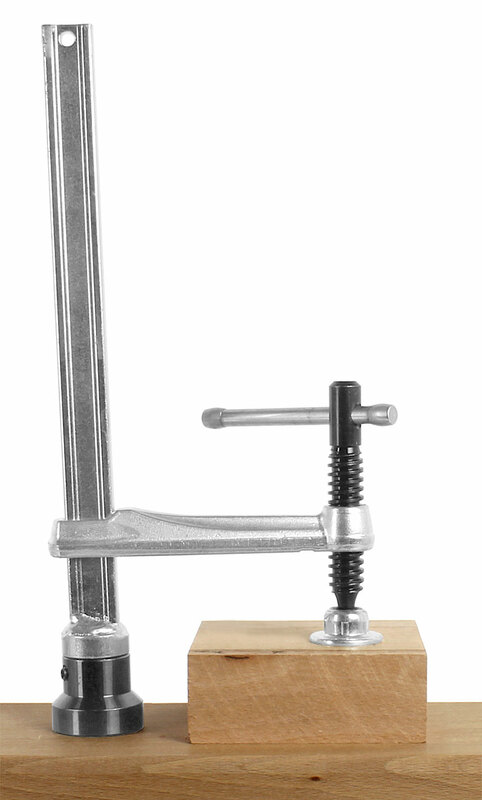 One workbench has 3/4 inch holes, another 20 mm holes, not to mention exotic configurations with 1 inch holes and more besides. 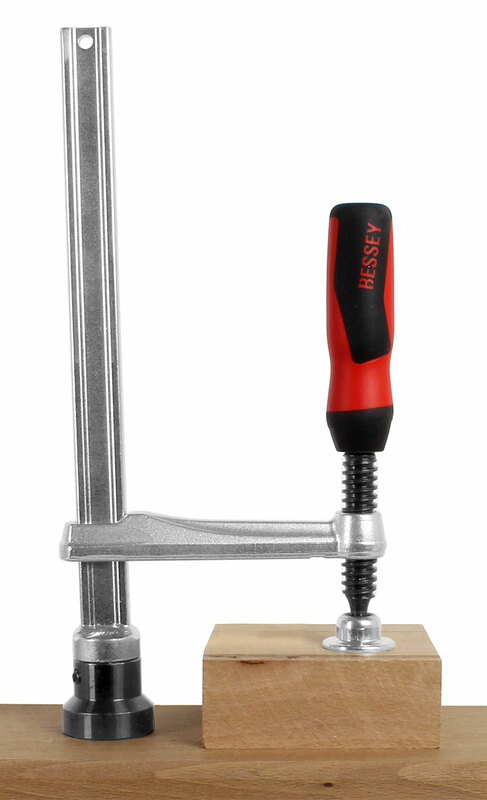 Bessey has now solved this problem by separating the hold-down component and shank. 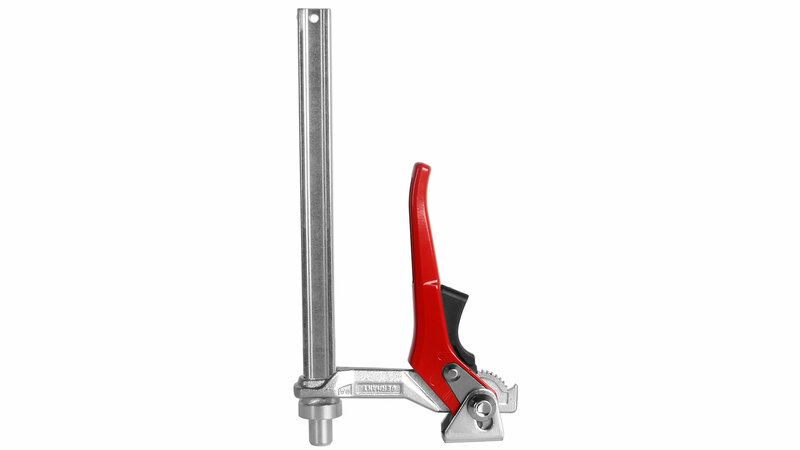 There are now clamping elements in various designs with fixed or variable throat depth, with composite handles as for screw clamps or T-handles and lever handles. 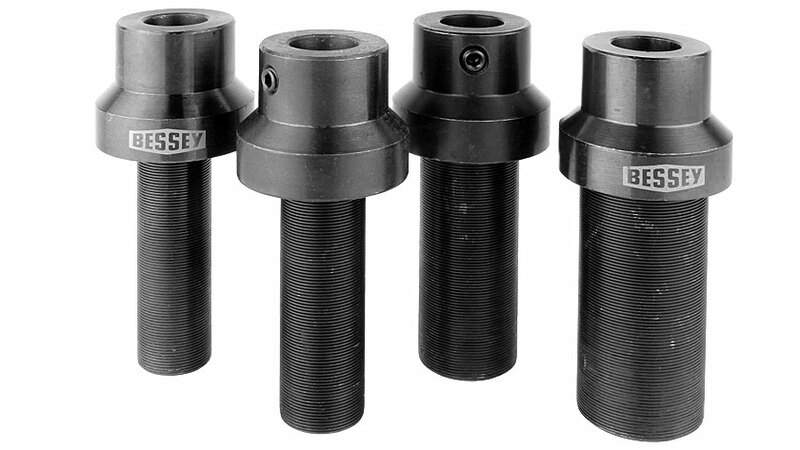 All variants fit on the workbench adapters (sold separately), of which there are four with shaft diameters for 19 mm, 20 mm, 25.4 mm and 30 mm holes. 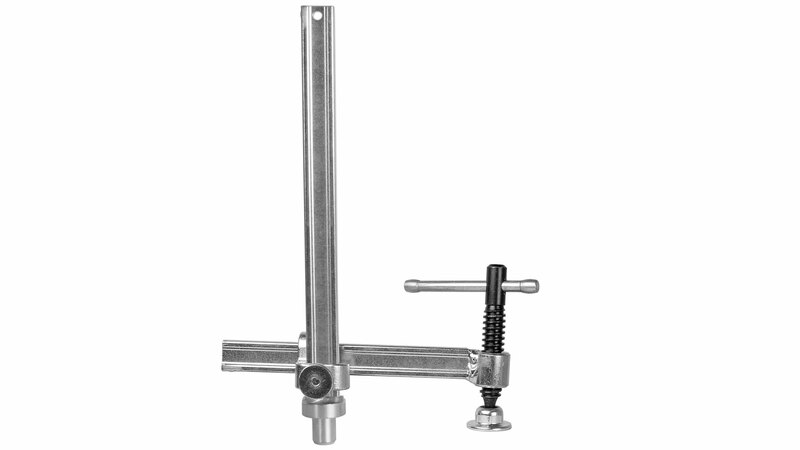 If your workbench is provided with holes having just one of these diameters you will be able to use all clamping elements of this series. 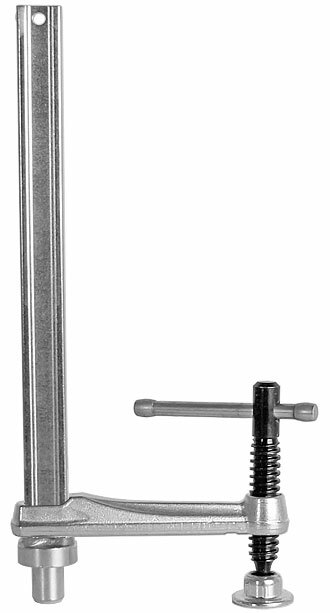 The clamping elements are simply inserted into the adapter and secured with a hexagon socket screw. 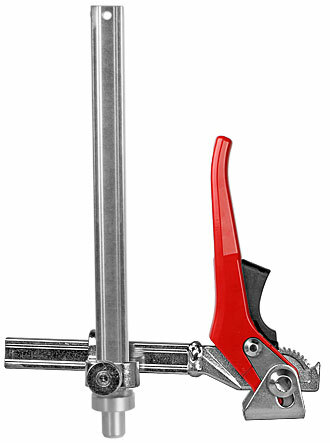 The surface-coated spindle with acme thread turns smoothly and does not bend out of line. 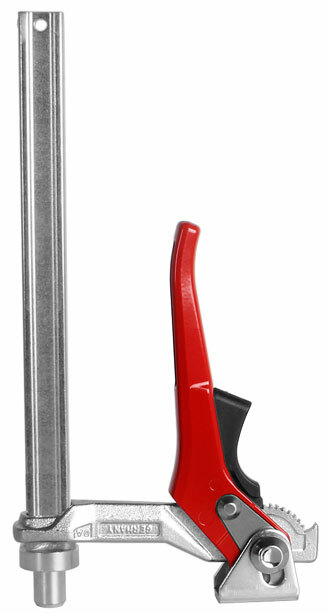 This lever handle design makes use of the lever’s natural mechanical advantage. 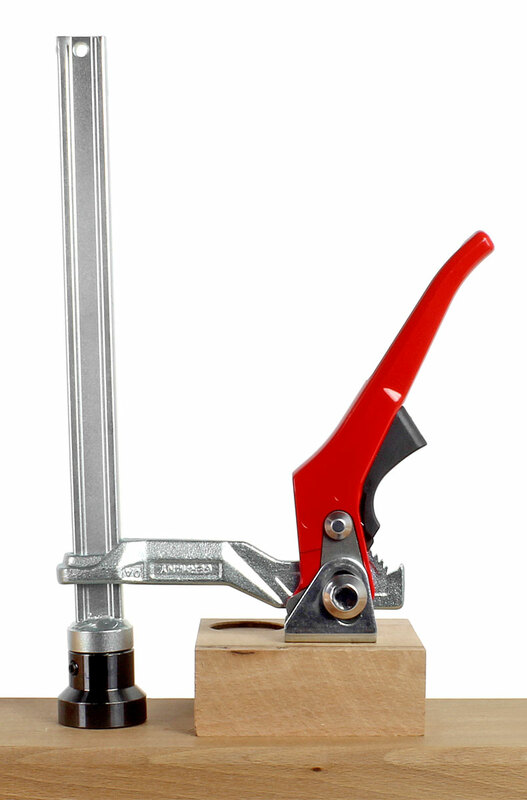 The ratchetting mechanism makes for measured, fast and vibration-proof clamping. The wear-resistant cam guarantees a long service life. 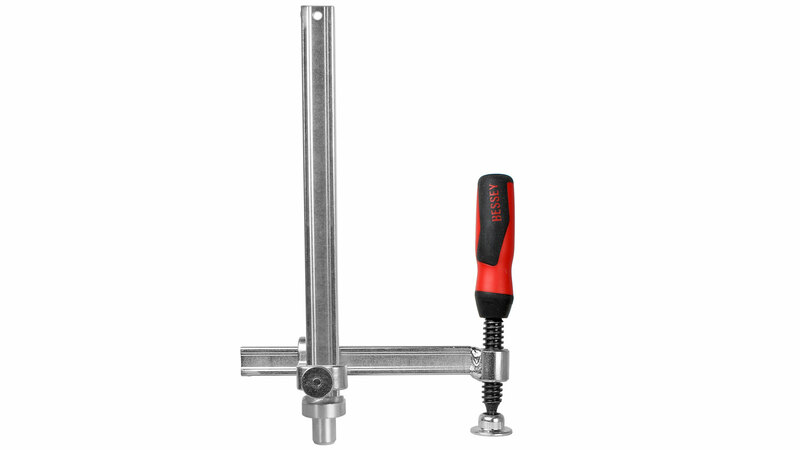 These adapters are the connecting link between the Bessey clamping elements and your workbench. 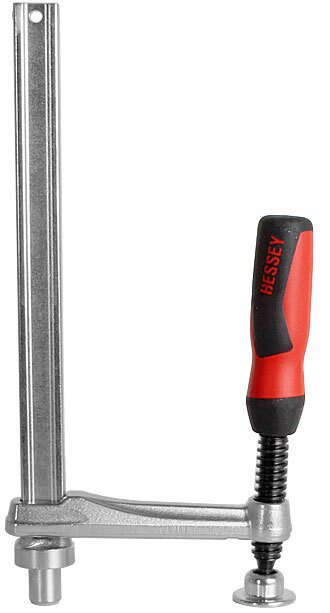 The mounting hole at the top end is 16 mm in diameter and fits all six Bessey clamping elements. 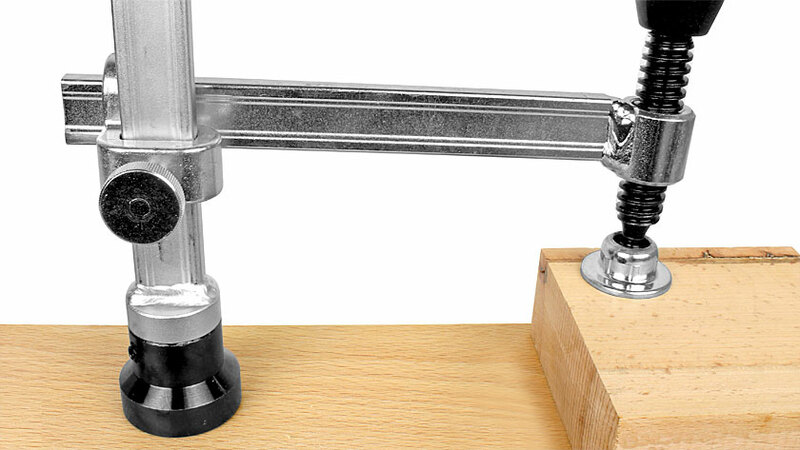 Simply select the adapter that fits the hole diameter in your joiner’s bench or workbench. 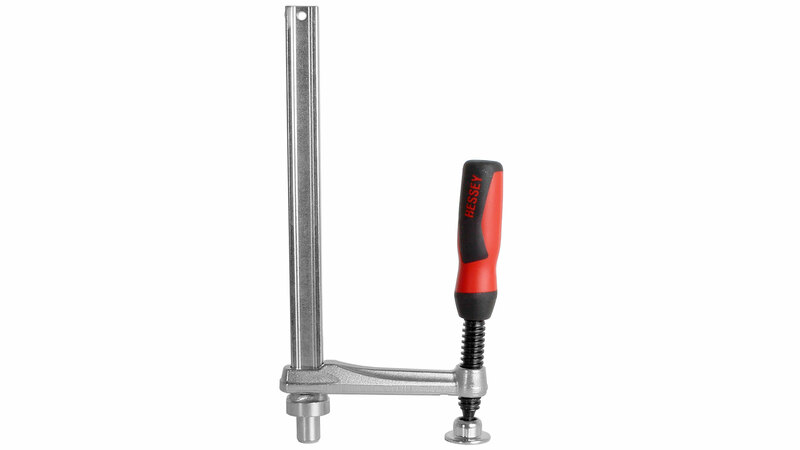 The adapter shanks (socket bolts) have grooves that improve their grip in the benchtop. They all have a length of 60 mm. 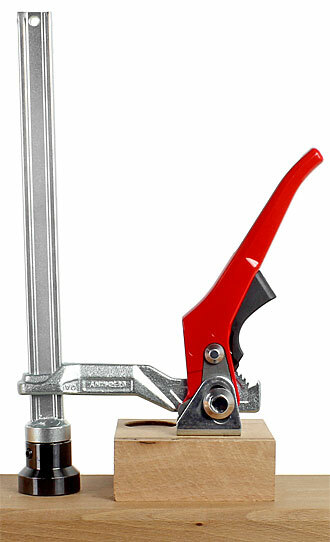 Depending on their dimension they are slightly undersize by 0.1 to 0.2 mm to prevent them from binding in the hole. 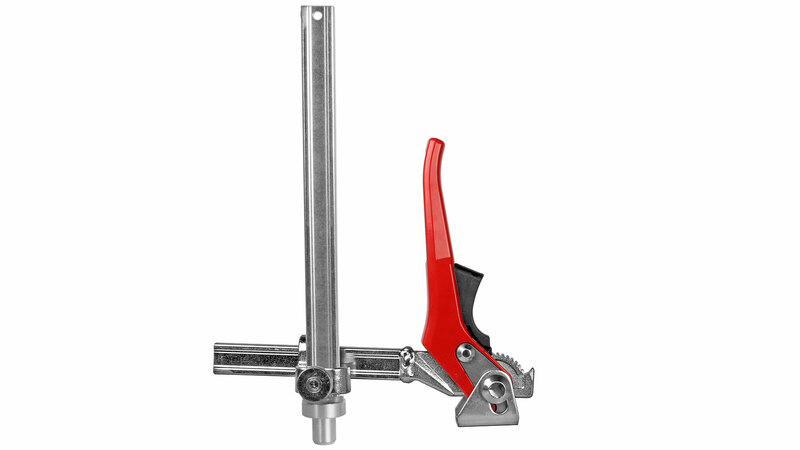 The full range of clamping elements are also available with variable throat depth, which further increases your application options. 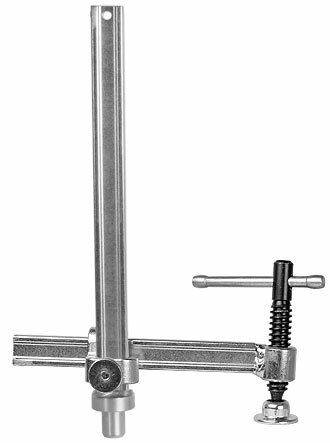 The throat depth is infinitely adjustable. 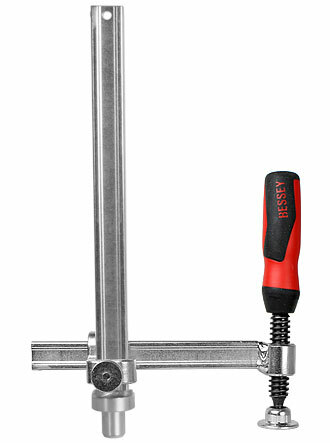 The desired height is adjusted by means of a knurled screw.